Please note: Read all the manufacturer’s directions before you begin. This is a general guide to stain using a transparent or semi-transparent stain, but manufacturer directions override any discrepancies. In many cases, an Airless Sprayer or HVLP Sprayer will work with these steps and most stain brands. When spraying, wide fan tips are best. Avoid “cone” spray patterns. 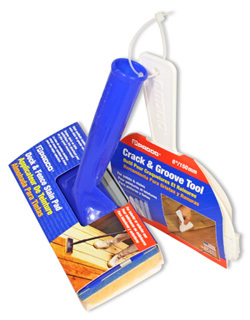 Some additional Deck Stain Pads, Brushes, and Tools can be found on that link. Mix stain thoroughly. Add stain to a paint tray and a pump sprayer. Take caution to avoid spillage and clean spills quickly. Start with wood railings first. If you do not have any railings, move on to #8. Cover outside surrounding areas such as concrete, grass, and shrubs with a large Poly Tarp(s). Tarp below deck if a raised deck. Hang a canvas tarp (9×12) 4 feet on one side, 4 feet on the opposite side, and 12 feet along the railings. The tarp is used as a backdrop for overspray. Slide the canvas tarp down the railing and adjust the poly tarp if needed to match on the outside/below. Immediately back wipe excess stain on the section just completed that may have dripped on the floor using a brush or stain pads. Wipe any drips on completed railing section using a brush or stain pad and scan the area for missed spots. Apply a second coat if needed to the top of the railings with the brush/pad. Check over completed section for drips, missed spots, etc. before moving on to the next section of railings. Repeat steps 1-6 around the railings until you reach the opposite side. Check once more for drips or missed spots. Move on to flooring. Slowly edge out flooring (1-2 feet) that butts up to the house using a staggered line. Use a stain pad or brush for this process. Lightly saturate remainder of flooring using the pump sprayer. Be careful to not spray on house! Apply a second coat evenly to the flooring using the pad or brush. Use caution to only apply as much as the wood will take, as overapplying will lead to premature stain failure. If applicable, move on to stairs repeating above steps. Very Important! Promptly dispose of rags and tarps by following manufacturer’s directions. Most manufacturers suggest soaking any oily rags/tarps in water and lay flat to dry outside. Do not leave materials in tight balls or inside garages, trash cans, or homes as this could be a fire hazard if using an oil-based stain. Have you used a low-pressure pump sprayer to stain your deck? We want to hear about your projects. Feel free to leave us any comments, questions, or feedback in the comments section below. Does not emphasize the need for back brushing? Yes it does in step 5. Hi! I’m planning on using the spray method to stain a new cedar deck for the first time. (After waiting about 8 months for the wood to dry) I’ll be using TWP 100 series, after reading your reviews. But I have black aluminum balusters. Do I need to tape these, or will the oil based stain wipe off without any issues? Also, is there a pump sprayer that you recommend? It wipes off the smooth coated black spinldes if you wipe right away. It does not wipe of powdered coated spindles. 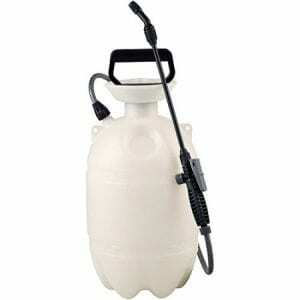 We use contractor grade sprayers by Chapin. Hello, what does the canvas tarp do? Doesn’t it get in the way and stick to the stain? Minimizes the overspray of the stain so it does not get all over your plants, house, etc. It can be slightly “messy” but that is why you will need to touch it up after doing a section of railings with a brush or staining pad. Thanks. What deck stain pads to do you suggest? Padco or shurline is what we use for our decks.